ZURICH/PARIS (Reuters) - UBS (UBSG.S) and its French subsidiary face trial in France after a long-running investigation into allegations that the Swiss bank helped wealthy clients avoid taxes. France and other European Union countries have launched a campaign to encourage taxpayers to come clean on previously undeclared assets held abroad, and clamped down on aggressive tax optimization techniques by multinational companies. "We will now have the possibility to respond in detail in a court of law," UBS said in an emailed statement on Monday. "UBS has made clear that the bank disagrees with the allegations, assumptions and legal interpretations being made." 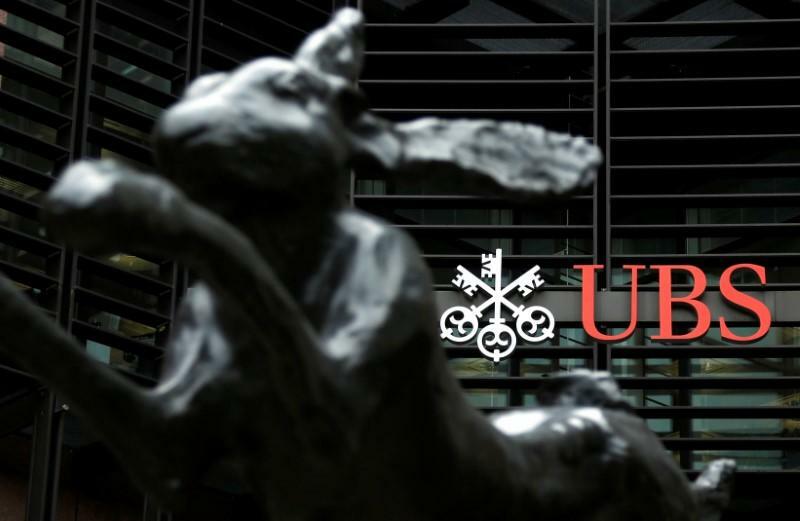 French magistrates have ordered that UBS stand trial on charges of aggravated tax fraud and money laundering as well as illegally offering related services, a judicial source said. "This is an emblematic (decision) and a little comforting," Eric Bocquet, lead author of an inquiry report on tax evasion by the French Senate's finance committee, told Reuters. "But this is important to see how far it will go...You can't negotiate with justice". Magistrates were expected this week to order a trial after negotiations failed to produce a settlement in the long-running probe into allegations UBS helped clients avoid taxes, Reuters reported on Sunday. French newspaper JDD said UBS had rejected a 1.1 billion euro ($1.18 billion) settlement proposed by prosecutors. The JDD quoted Markus Diethelm, UBS's group general counsel, as saying a 1.1 billion euro payment was "unthinkable" and out of line with similar settlements reached in other countries. UBS settled a tax case with German authorities in 2014 for around 300 million euros. A UBS spokesman declined to comment on the trial date. French authorities are also investigating HSBC Holdings (HSBA.L) and last year a source familiar with the matter said the country's financial prosecutor asked for a trial of Europe's biggest bank and its Swiss private banking unit over allegations it helped customers dodge taxes in 2006-2007. HSBC has admitted failings in controls at its Swiss private bank, but has denied any knowledge of wrongdoing. Investigating magistrates will decide on whether HSBC should stand trial. In a previous case that went to trial, a Paris court fined Swiss private bank Reyl 1.875 million euros for helping former French Budget Minister Jerome Cahuzac hide undeclared funds.